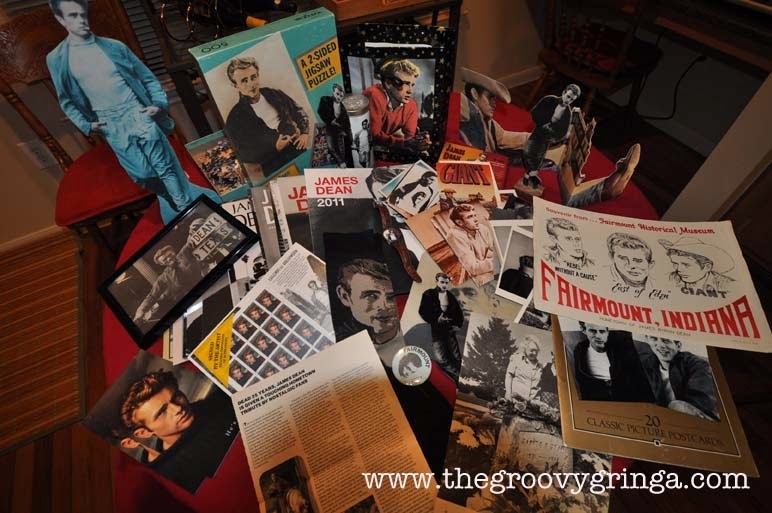 Part of my James Dean collection, nearly 40 years in the making. Sept. 30, 1955. The day James Dean died. Perhaps that’s not relevant to most people’s lives. They may think of him as an iconic symbol of the ‘50s. The jeans and plain white T. The attitude. The rebel. But to me he’s been an obsession since high school – nearly 40 years. If circumstances were different, I might have been a stalker. But since he died two years before I was born, I guess that lets us both off the hook. I first laid eyes on him in a film study class my junior year. The movie was “East of Eden.” I don’t remember anything else about the class, and I don’t remember any of the other movies we saw. All I can tell you is I saw James Dean and my life was forever changed. I own innumerable books, pictures, posters and postcards of him. His likeness is on a pencil sharpener, socks and a jigsaw puzzle, along with T-shirts, a watch, and postage stamps. I own about 20 years worth of calendars, all of them in pristine condition – no one is allowed to write on them. For about 20 years, I’ve toted a cardboard cutout of him around the country. I half-kiddingly say he’s the perfect man. He’s never lied to me or let me down. When I get tired of looking at him I can fold him in half and put him away. I found this salt and pepper shaker set at the Hotel Paisano gift shop. 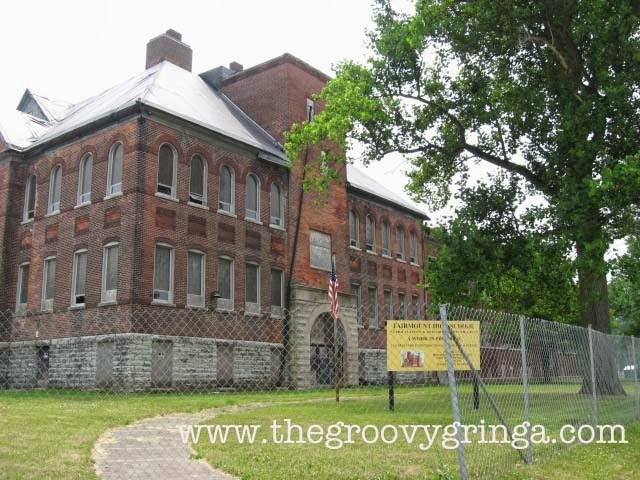 When I was stationed in Dayton, Ohio, in the ‘70s, my friend Gary and I ventured over to Fairmount, about two hours away, to visit his grave. While we were at the grave, an older gentleman who was visiting his wife’s grave nearby came over and talked with us. “Oh, Jimmy? I knew Jimmy when he was just a little boy,” he said. He seemed quite pleased to be able to share his memories with us and play tour guide. Seriously? I was waiting for the clouds to part and Jesus to come riding up in a chariot drawn by unicorns … that may have topped this man’s offer, but not by much. Of course, I wanted to meet Aunt Ortense! 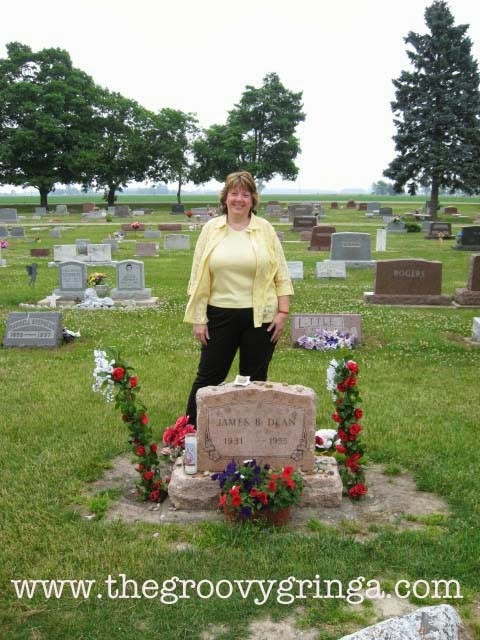 At James Dean's grave in 2007. Jim Davis, the creator of Garfield. Who knew? Dean was born in Marion, Ind., but his father Winton moved the family to Santa Monica, Calif., when he decided to leave farming. When Dean was 9, his mother Mildred died of cancer and his father felt he couldn’t take care of him on his own. Dean returned to Indiana to live on a farm with his father’s sister, Ortense, and her husband, Marcus. Gary and I left the cemetery and followed the old man from the cemetery. Just a short drive up the county road, he slowed down and pointed to a driveway and then waved goodbye. The Winslow home in 2007. 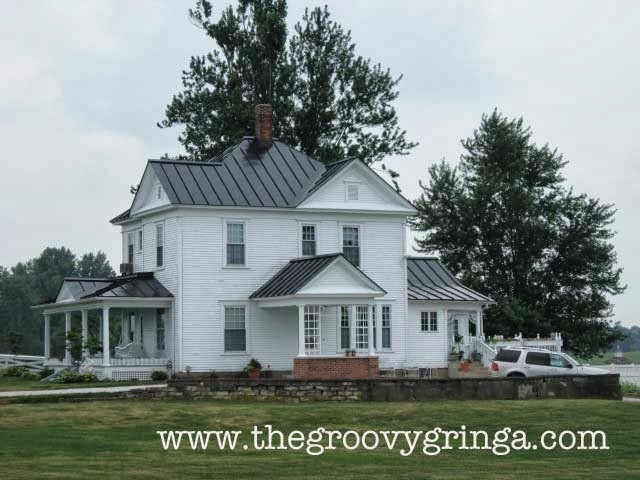 I recognized the big white farmhouse right away from the books I had read, but still nothing could prepare me for seeing it in person. I felt like I had been dropped off in the middle of a Norman Rockwell painting. There were even kittens playing in the yard. My heart couldn’t have been beating any faster. I didn’t quite know what I was going to say to Aunt Ortense but I wasn’t going to let that stop me. Gary was quite amused by my reaction to everything that had been happening. He declined my offer to go up to the door; I’m sure he thought I would be back in a minute, deflated with rejection. But luck was on my side. I rang the doorbell and soon the sweet-faced lady with the white hair that I had seen in so many photos was standing in front of me. 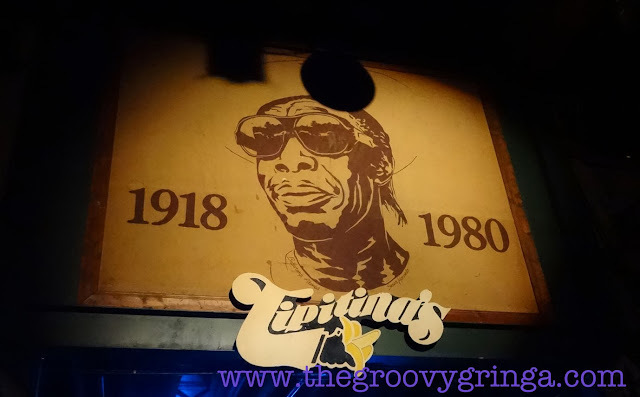 My words tumbled over themselves as I tried to explain why I was there. 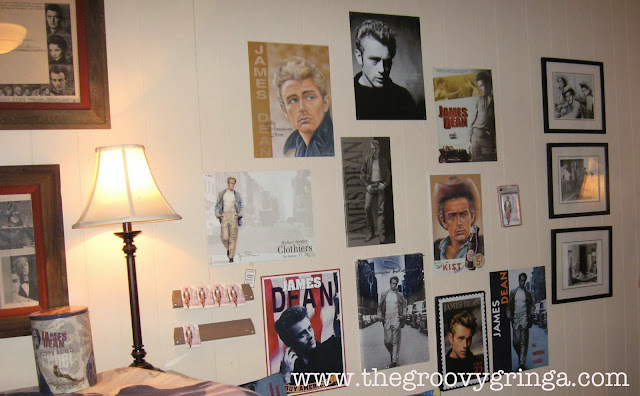 So I entered James Dean’s home … the place he lived for nearly 10 years. 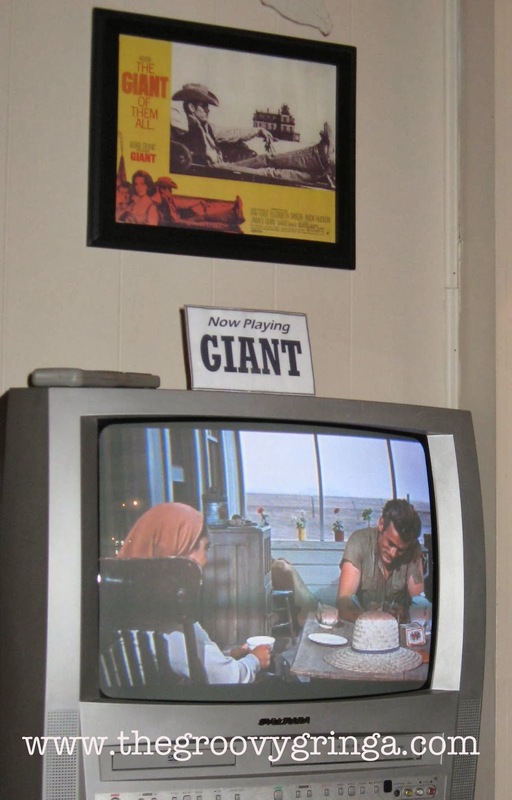 My eyes were gazing on furniture, paintings and knickknacks James Dean had seen. It was overwhelming. 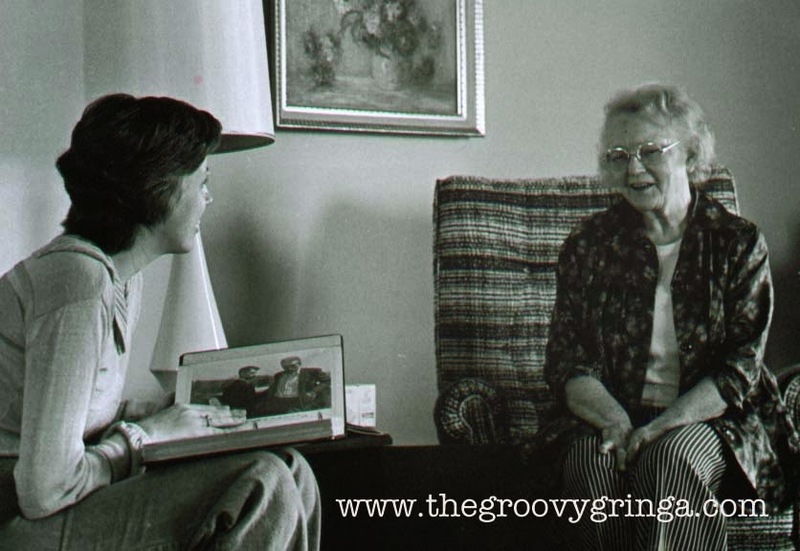 I have one of James Dean's photo albums on my lap as I talk to his aunt, Ortense Winslow, in 1977. At some point, I came out of my James Dean coma long enough to ask if Gary could join us. I must admit I had a rather smug look on my face when I went to the car and told him to come in. 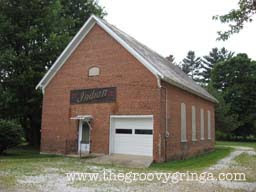 The Indian Motorcycle Shop in Fairmount, Ind., where James Dean bought his first motorcycle. the building, but with the collapse of the entire roof in August, this seems unlikely. 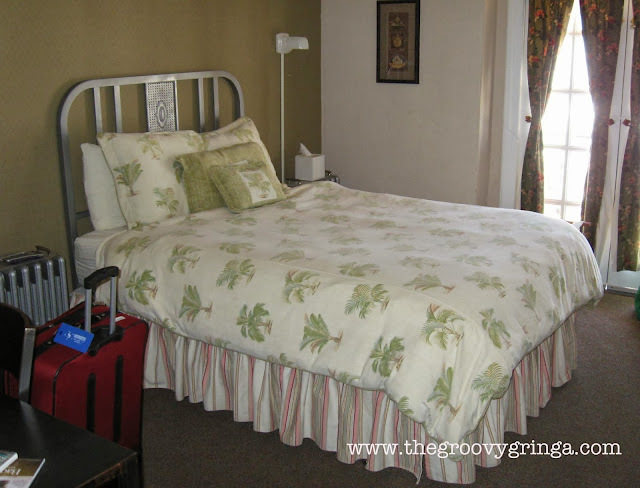 Even though I could have stayed for hours, I didn’t want to overstay my welcome and so the time came to leave. As we said our goodbyes, Aunt Ortense asked if I would like to sign her guest book. 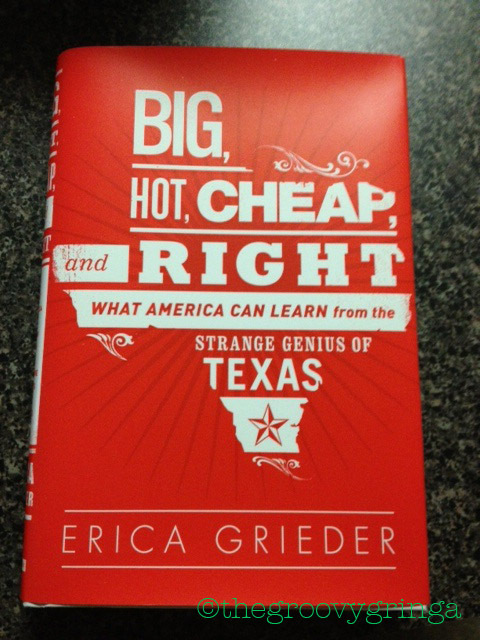 She enjoyed going through the book and seeing all the places people came from. And thinking it was a big deal for me to come all the way from Dayton, Ohio, I went to sign the book … and found signatures from fans from Japan, Australia, Europe. It was stunning to see the addresses and the messages people had written. Even more stunning was that this sweet little old lady was allowing complete strangers into her home – people like me who just wanted to be just a little bit closer to their idol. It speaks a lot of the kind of background her nephew came from, and the presence he had on the silver screen that spoke to so many people around the world. 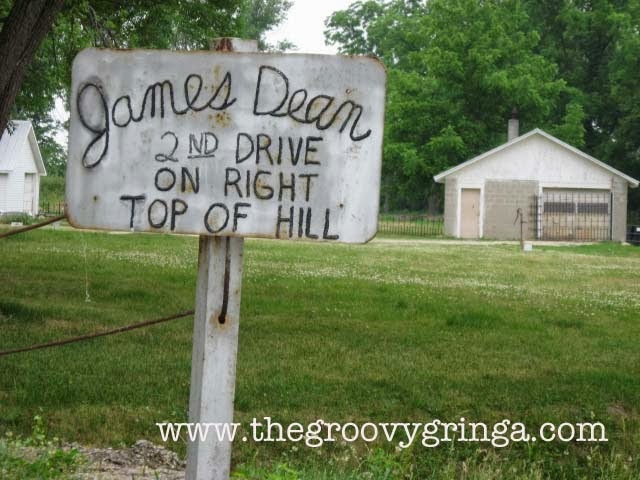 This sign, which wasn't around when I first visited Fairmount in 1977, now directs visitors to James Dean's grave. I’ve been back to Fairmount several times since then, as recently as six years ago. 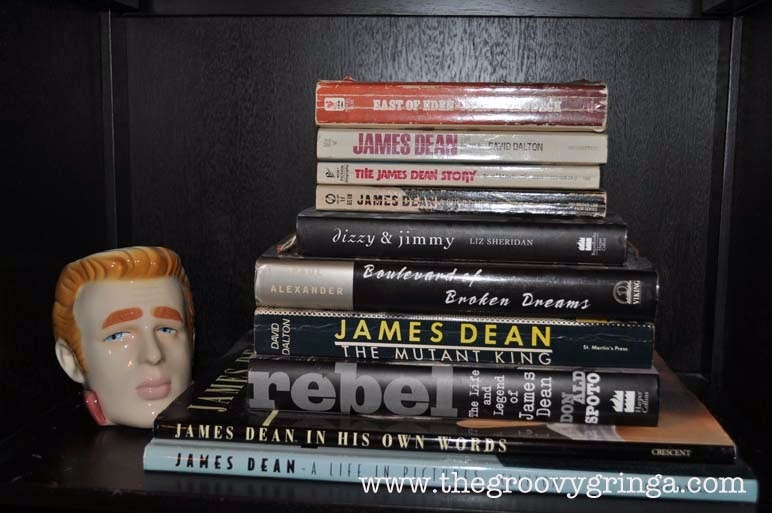 During one of my visits in the ‘70s, I wanted to visit the James Dean Museum, which at that time was located above a Western Auto Store downtown. The museum was closed, but one of the clerks at the Western Auto told me to go across the street to the bank, where the museum “director” worked and she’d be happy to open the museum. Turns out it was her day off at the bank, but fear not, one of her co-workers called her and she came into town just to open the museum for me. Now THAT’S small town hospitality. 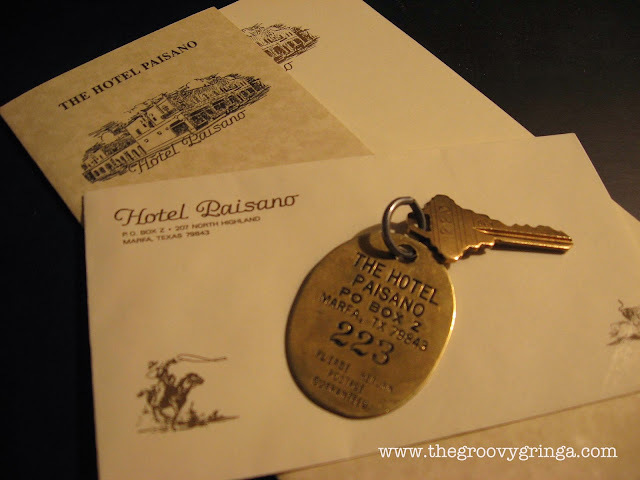 The key to the James Dean room at the Hotel Paisano in Marfa, Texas. There are a lot of souvenirs for sale at the Hotel Paisano gift shop, but most of them are about James Dean. 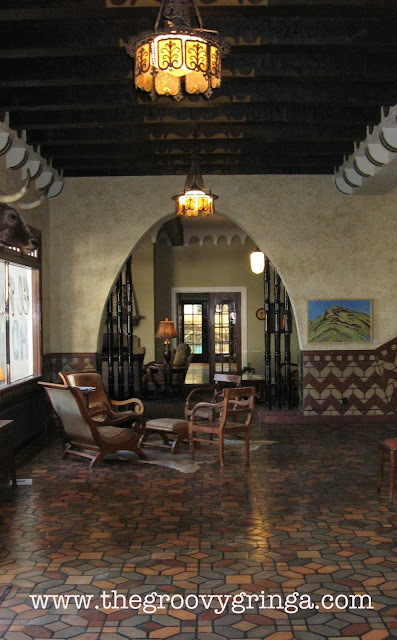 The lobby of the Hotel Paisano in Marfa, Texas. 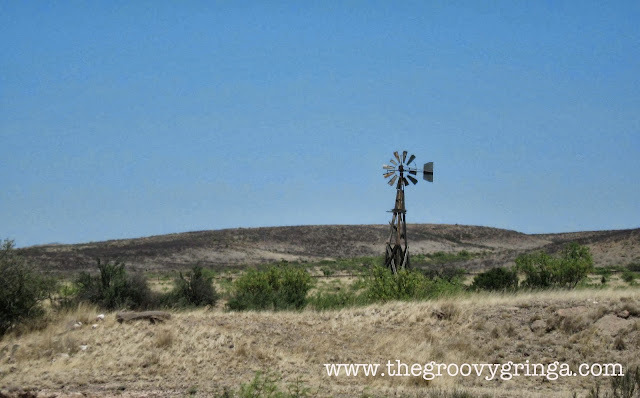 during the filming of "Giant" in Marfa, Texas, in 1955. James Dean's character in the movie. When I visited Marfa in 2009, I stayed at the Hotel Paisano, where the cast and crew stayed during the filming of “Giant” in 1955. For a little extra money, you can stay in the rooms that Dean, Elizabeth Taylor and Rock Hudson stayed in. If you’ve been paying attention, you’ll know which room I had. But none of those experiences hold a candle to that first one. 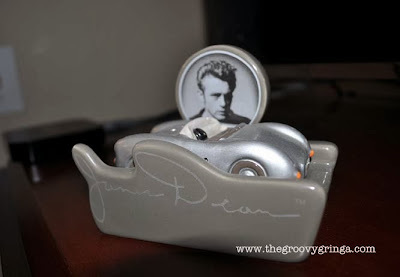 Tomorrow, on the 58th anniversary of his death, I’ll be thinking of James Dean. And his Aunt Ortense. 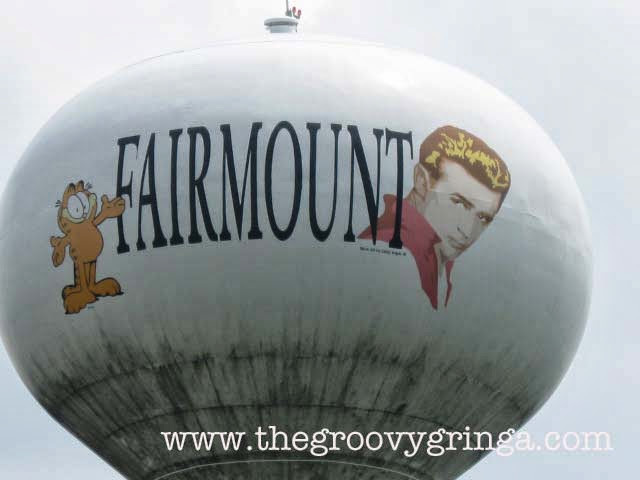 And the friendly little town of Fairmount, Ind. And a part of me will always be that 16-year-old girl in film study class, watching the farm boy from Indiana who will always be 24. At the intersection of Dean and Texas in Marfa. 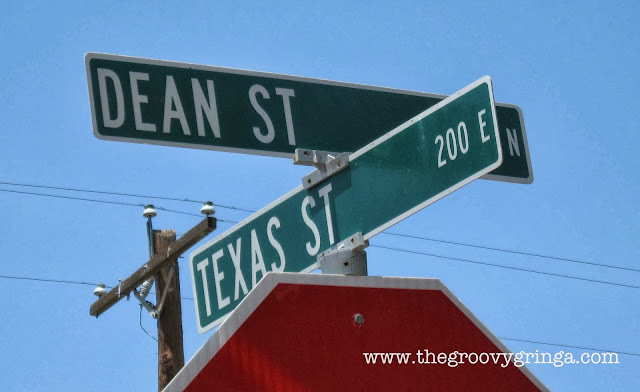 I really do not think James Dean stayed at the Paisano, everything I've read indicates he did not stay there but stayed in a private residence. I loved the hotel, it's been a few years since we have been there and loved the Little Reata and what's left of the "Giant" fascade. A wonderful trip.